Bella Blair says she forgives Dancehall superstar Spice following their bitter spat on social media earlier this year. The “Hot Gyal Sumting” singer recently opened up about her beef with the Dancehall superstar as well her new EP, “Aura,” during an interview with Entertainment Report. According to the former vlogger-turned singer, she has already forgiven Spice for the things she said about her, as disrespectful and hurtful as they were, and is ready to move on with her career. “I’ve already forgiven her [Spice] for the disrespect and we’re moving on with life, I look good right?” the singer said. Bella was infamously blasted on social media by the “Needle Eye” deejay after she criticized her representation of Jamaican women during her appearance on the popular Love & Hip Hop: Atlanta TV Show. 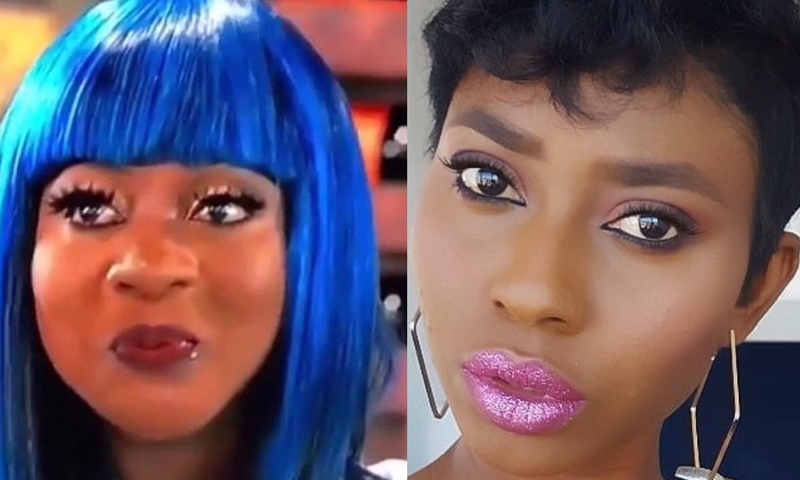 Spice clapped back at the entertainer accusing her of being a hypocrite as much of the comedic skits that brought her initial popularity is very similar to the “brawling” and “ghetto” behavior she accused her of. “Memba say me never know bout u until u start acting brawling and ‘ghetto’, it was the same representation that made you but a so nuff a unu hypocritical…. No man no have my receipt a road like yu, so move yu dutty bl**dcl**t and gwey. Mi never know me shoulda go pan LHH go create baptism and all a who a talk bout fight a same so if mi did go siddong and make dem beat mi over deh unu still would a r**s talk,” Spice blasted. Despite the negative controversy which followed the incident Bair says she is only focused on promoting her 5 track EP, which she describes as a fusion of various genres of music and not strictly Dancehall.